Austrian businessman and billionaire Johann Graf has a net worth of around $6.6 billion as of 2015. Being one of the richest men in Austria, he has earned most of his wealth by founding the Novomatic Group of companies. As of now, the company is operational in 32 countries across the globe, dedicated to exporting gambling devices to more than 70 countries around the world. Hiring around 18,000 employees, his company gives him revenue of around $4.3 billion. Johann Graf was born in a poor family, and was raised by grandparents in a single room flat. The flat did not even have running water at that time. His guardians wanted him to take control over the family butcher shop, and trained him to be a butcher during his young years. But Johann had no interest, and wanted to do something else. In 1974, he started importing pinball machines from America via Belgium, which were widely setup in cafes, pubs and brothels. Soon, he became an agent for a British company of slot machines.With the onset of electronic machines, Graf entered the industry of servicing specialists, and hired qualified technicians to serve the clients. 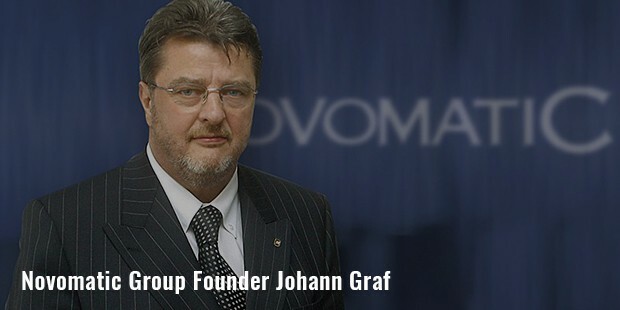 In 1980, he founded Novomatic Automatenhandels AG, with which he introduced Admiral Range of gaming machines in Austria. By 1982, he had entered the Swiss and East Bloc market.Graf operated many casinos under the brand name of Admiral, and at the same time sold video poker, slots, video lottery, electronic table games and multi-player games.Johann Graf was operational at a time when innovation was the call of the hour. Over time, he made presence in mobile and online gaming industry, and kept at par with the updated technology of casino management. The modular ACP system in casinos allows the operators to monitor, control and automate a wide range of gaming functions, such as tracking losses and wins, analyzing performance of the gamine machines, identifying player loyalty, administering jackpots etc. 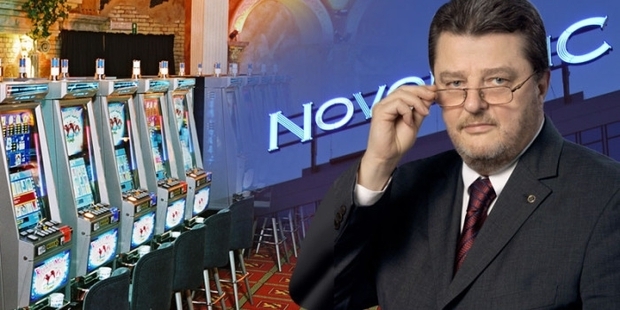 Novomatic was also involved in the development of biometric system, which initiated and authenticated credit transfers, controlled access to casinos, and managed betting terminals. 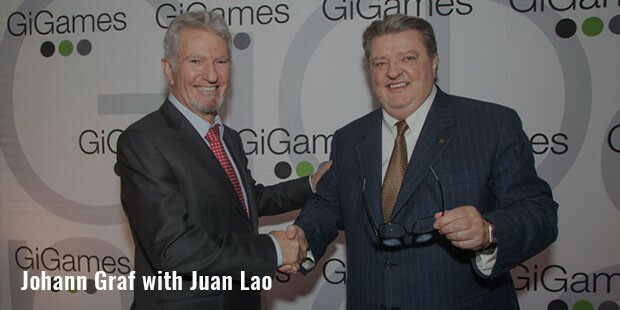 His company values $4.5 billion at present and is operational in over 43 different countries, exporting gaming equipments to over 80 countries. 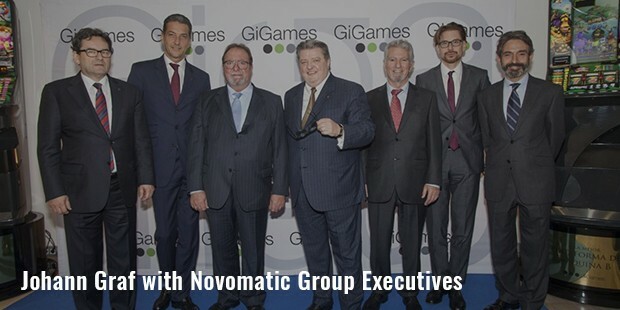 Thomas Graf, his eldest son, is the head of the technology wing of Novomatic, and is a part of the company’s management board. 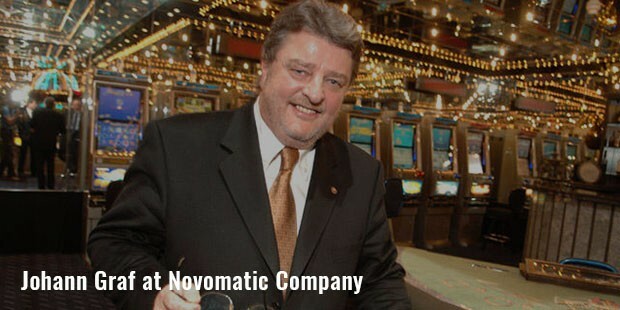 Today, Novomatic operates more than 1200 gaming and sports betting venues across the globe. This in addition to many electronic casinos. Johann has a hobby of collecting vintage cars, and his collection includes around 120, majority of which are Jaguars. Forbes’ list of worldwide billionaires enlists Johann Graf at number 208, with a net worth of more than US $ 6.6 billion.Instead of being busy, he focuses mainly on being productive, and this approach has made him one of the very few billionaires in Austria.